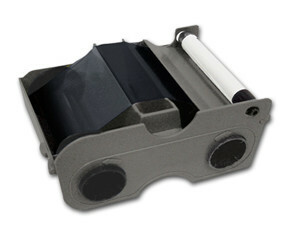 Datacard SD160 printer ribbon. Dye sublimation for colour printing cards. Ensure peak performance. Insist on Datacard Certified Supplies for your Datacard® SD360 card printer. Designed exclusively for the printer, our printheads, ribbons and cleaning supplies can help you achieve the best image quality, most reliable printer performance and lowest possible cost-per-card. Genuine Datacard ribbons also leverage our patented technology to provide automated color and image density adjustment, ribbon usage tracking and ribbon conservation. The SD360 card printer features systemmatched Datacard patented ribbons that activate additional features exclusive to Entrust Datacard. Upon installation, the Datacard proprietary ribbons enable all enhanced product features that help you print high- quality cards more easily. When a genuine Datacard ribbon is loaded into an SD360 card printer, the driver automatically adjusts printer settings to match the ribbon type and helps ensure the best possible image quality on the cards. 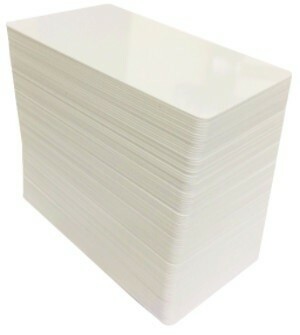 The printer and supplies then collectively track ribbon consumption and notify you of an upcoming ribbon replacement. 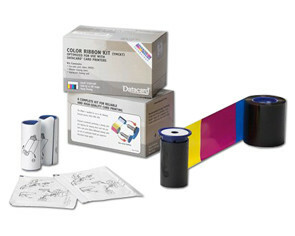 The SD360 printer has a unique set of panelized color ribbons that were created to work exclusively with this affordable card printer. Our new “E series” 98mm ribbons have enhanced encryption to ensure that you are getting superior quality and performance that is achieved when your Datacard system is matched with Datacard Certified Supplies. The new “E series” panelized color YMCKT and ymcKT ribbons also provide you with a more efficient solution to your printing needs. These ribbons have a smaller 98mm footprint than the standard 101mm ribbons, which means that there is less material used in the production of the ribbons and less waste to dispose of, making it a more efficient option. Entrust Datacard offers a comprehensive portfolio of supplies to support your issuance program. Our full-color ribbons provide vibrant, life-like images and detail, and unlike comparably priced systems, the SD360 printer includes a UV ink ribbon option to enable easy verification and add additional security to your cards. Our monochrome print ribbons can deliver exceptional results for basic text and printing. Enhancements in SD360 card printing technology dramatically improve quality and sharpness of photos, graphics and logos by utilizing optimized print ribbons and user-adjustable image and color controls. The SD360 card printer emulates Microsoft-based sRGB color space to seamlessly reproduce on-screen images onto the card. 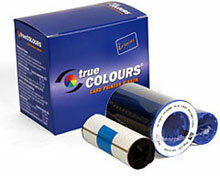 This provides better color matching and reduces the amount of color adjustments needed, creating less hassle for you. Replacing supplies is quick and easy in the SD360 card printer with a reloadable supplies cartridge with drop-in cleaning roller. The cartridge includes a print ribbon and cleaning sleeve, and it snaps in place without the use of additional tools or adjustments. Simply open the supplies cover, swap out the old ribbon with the new one and resume printing. Regular cleaning operations will help you keep your SD360 card printer running at peak performance. Entrust Datacard offers cleaning supplies designed specifically for maintaining your SD360 printer and helps prevent mishandled cards, diminished image quality or damaged printheads. All ribbons are packaged as a kit and include all the necessary cleaning supplies. This package includes one adhesive cleaning sleeve and one isopropanol cleaning card. When more frequent cleaning is required, additional cleaning supplies can be ordered separately.